Keep your feet warm and your home insulated with a comfortable, cozy carpeting layer. There are many decisions to make when you have a home. Often, we want to personalize it with a little bit of flair that is all our own. With all the choices that there are to make concerning your home, one of the most important ones is actually right under your feet! What type of flooring will you choose? 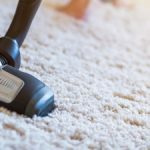 Many of us have a mix of a few different flooring types for various rooms, but one of the most common and most popular is carpet. Carpet is a great flooring choice for nearly all rooms in the house. Not only is it fairly affordable, depending on the type of carpeting that you choose, but it’s comfortable as well. With plush, soft fibers and a warm feeling underfoot, there’s nothing quite like stepping out of bed on a chilly morning onto your warm carpeting. Carpet provides a warm, neutral canvas that compliments rather than competes with other stylistic elements in your home. 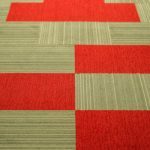 Because carpeting comes in virtually every color and style under the sun, you can find a color (or colors) that will go with any lifestyle and color palette. Not many flooring choices give you that kind of versatility! If you’re in the Mooresville, North Carolina area and would like to upgrade your current flooring choices, we would love to help you here at Above Board Flooring. We have been helping people just like you find their ideal carpet or other flooring options since 1991 and would enjoy helping you as well. Come see us today or give us a call and let’s get started!